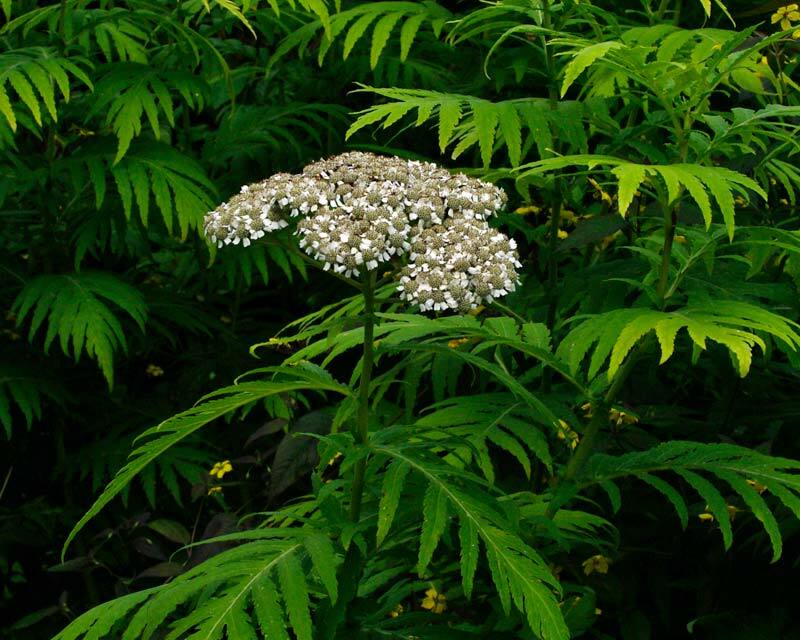 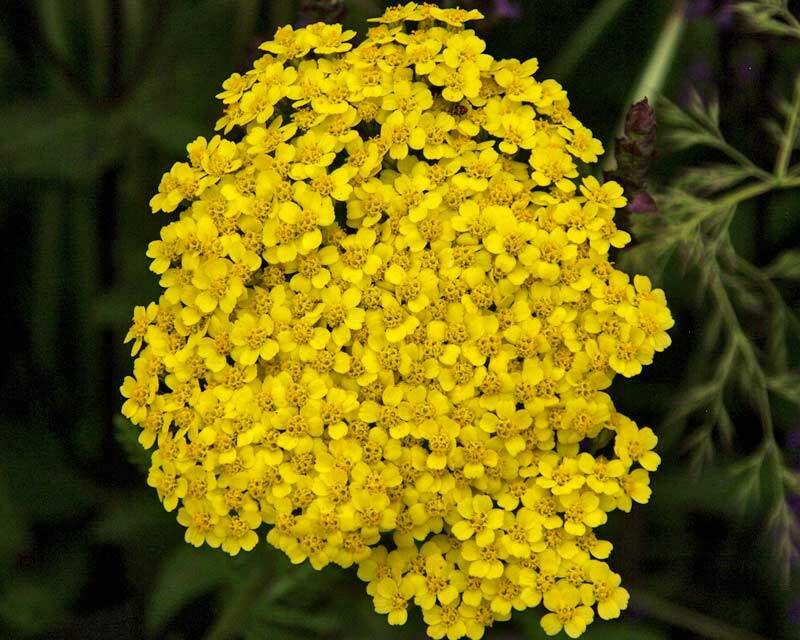 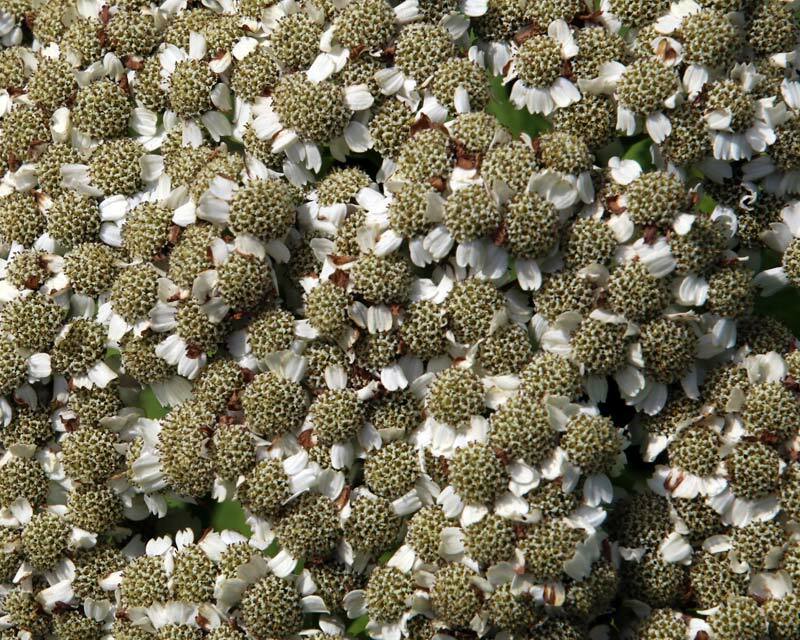 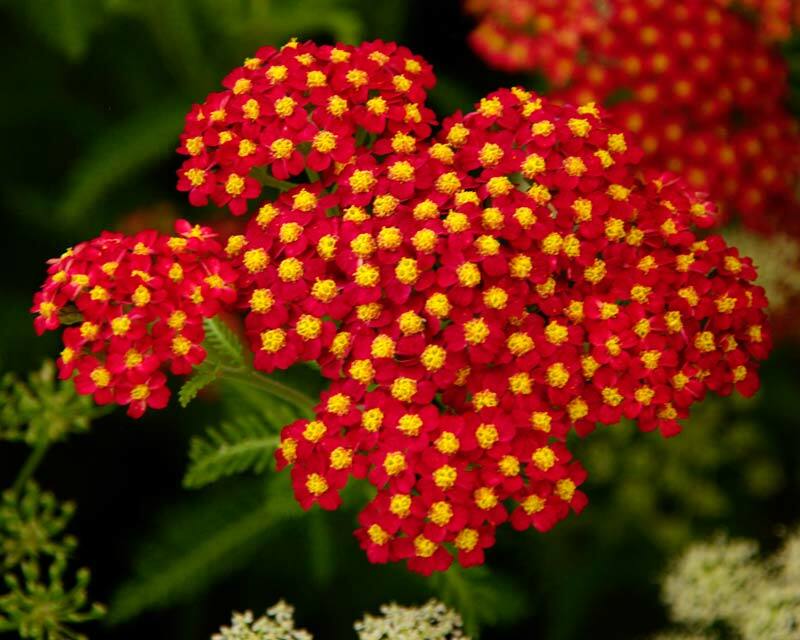 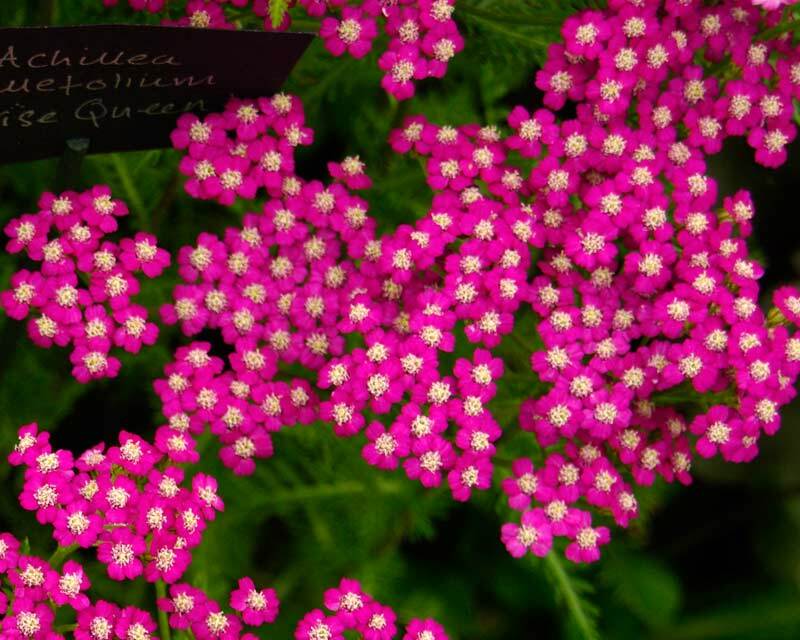 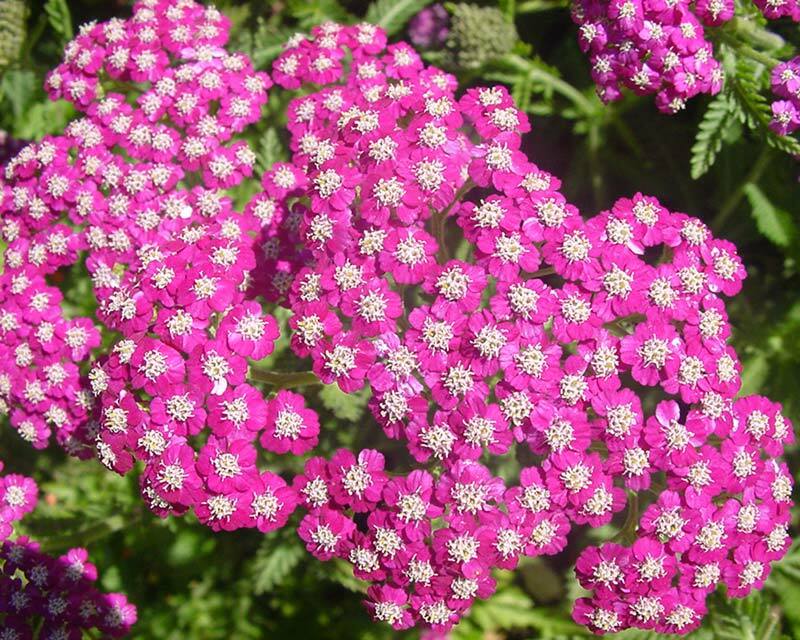 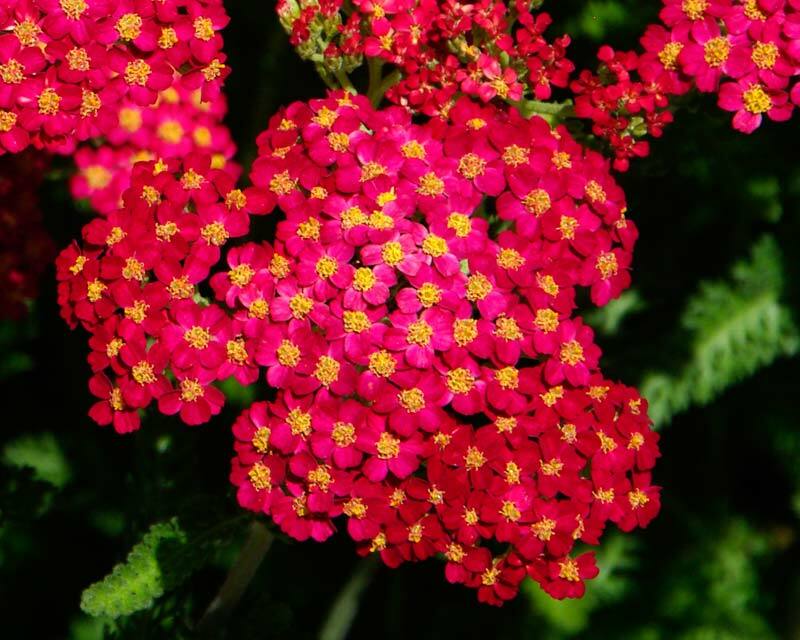 Achillea millefolium or Yarrow is a hardy, vigorous herbaceous perennial with soft, feathery, aromatic dark green foliage and pinky white, flat headed flowers that bloom in summer. 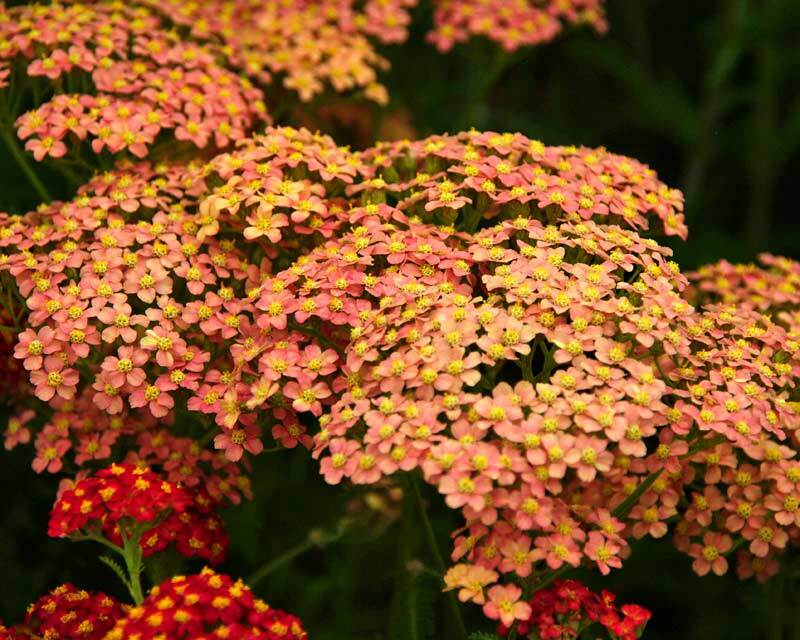 A useful border plant providing attractive clumps of foliage and plenty of colour during summer. 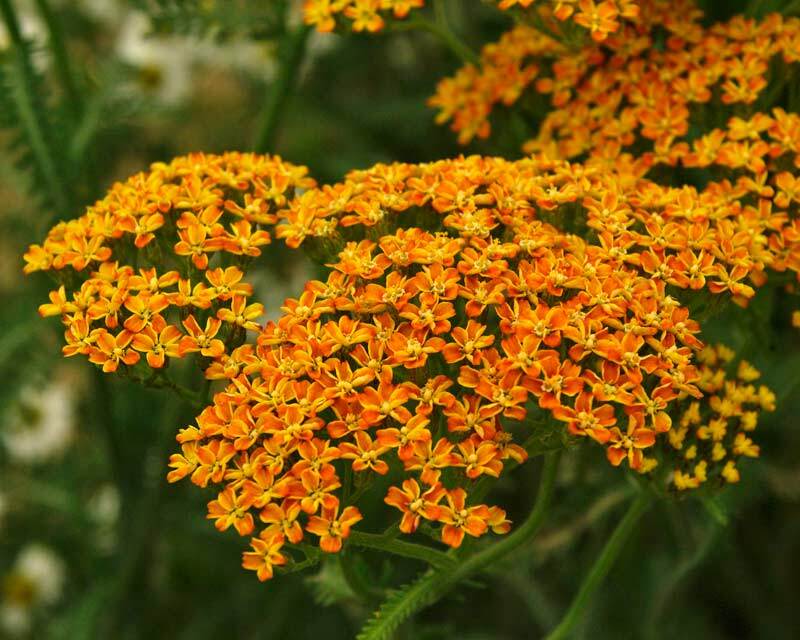 Yarrows are reputed to be general fortifiers, helping the body's natural resistance. 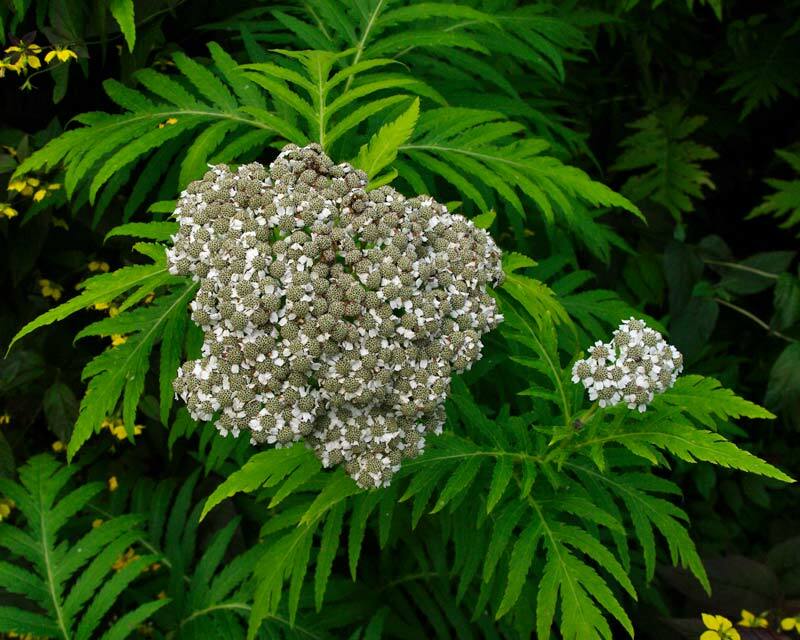 They improve digestion, circulation and the function of the liver, gall, bladder and kidneys. 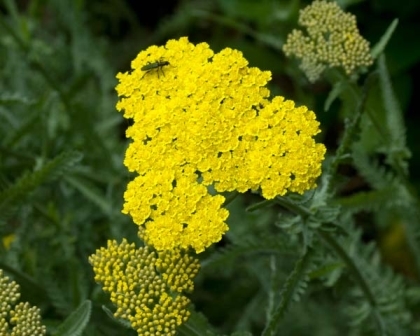 They are also valuable wound treatments for cuts and grazes and are used in many cosmetic lotions for cleansing the skin. 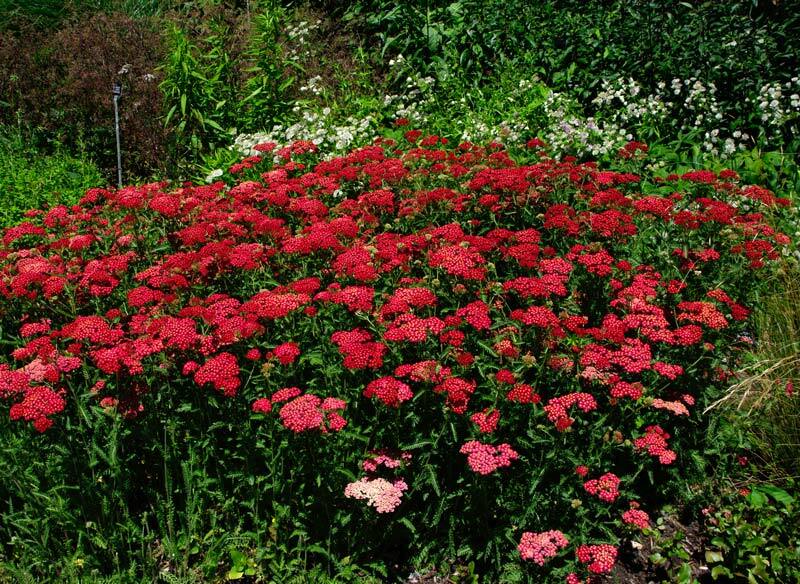 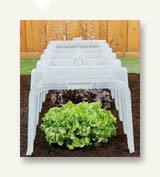 Soil: It is tolerant of poor soils but will do well in an open sunny position in well drained loams. 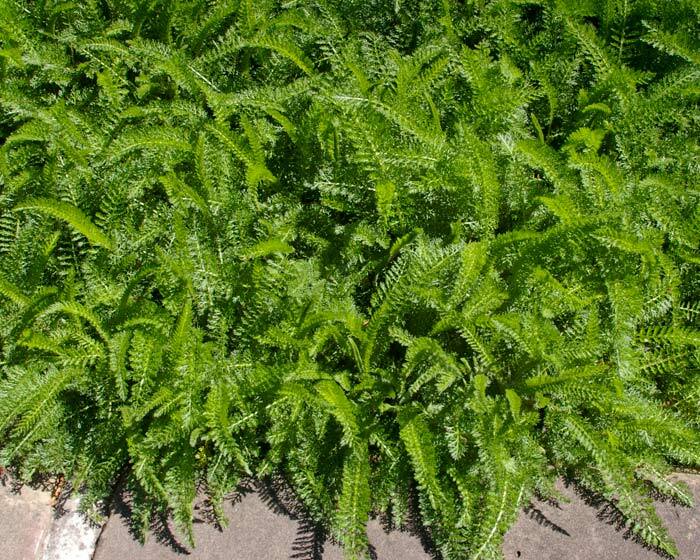 Maintenance: Fertilise in spring but beware of its overly vigorous nature as it will spread rapidly by underground rhizomes and can become invasive if not controlled. 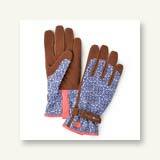 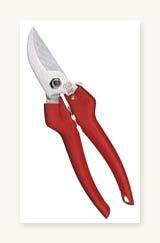 Best to keep it trimmed and divide well established clumps. Diseases: Not troubled by pests and diseases. 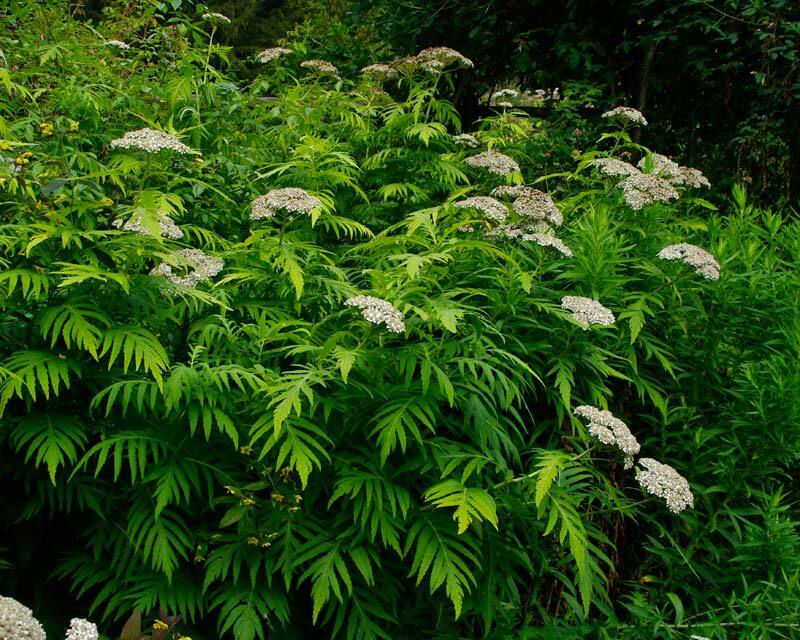 Comments: Named after the greek god, Achilles who used the plant for medicinal purposes including reduction of fever. 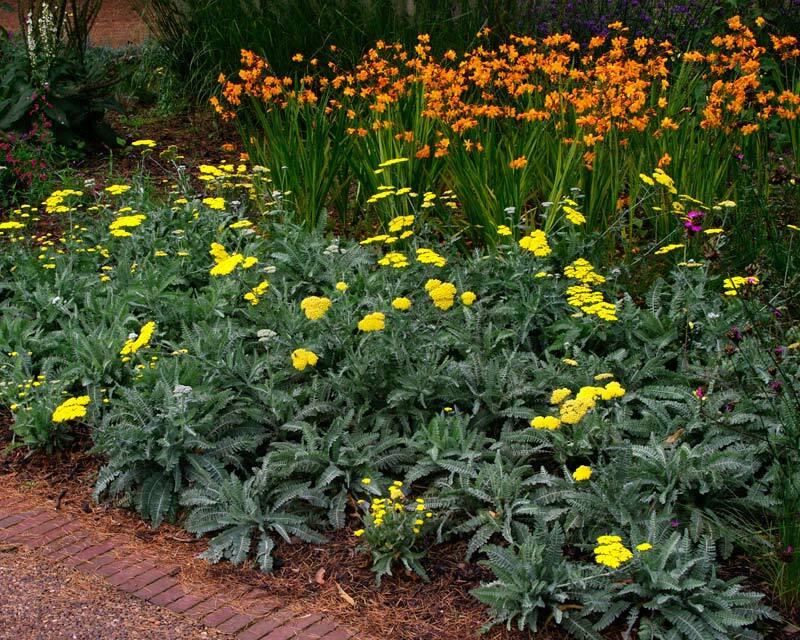 The dired leaves and flowers have also been used as an alternative to tobacco in Europe and the cut foliage makes a great starter for composts.